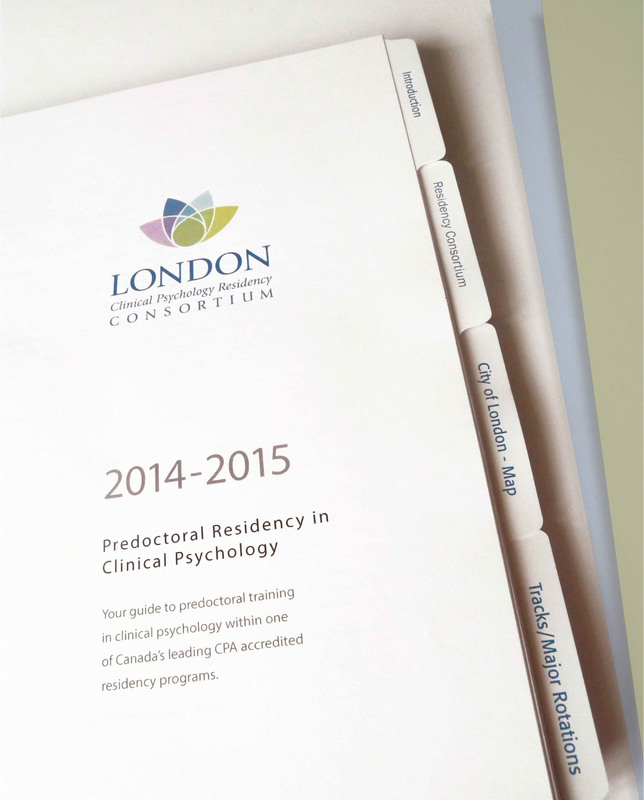 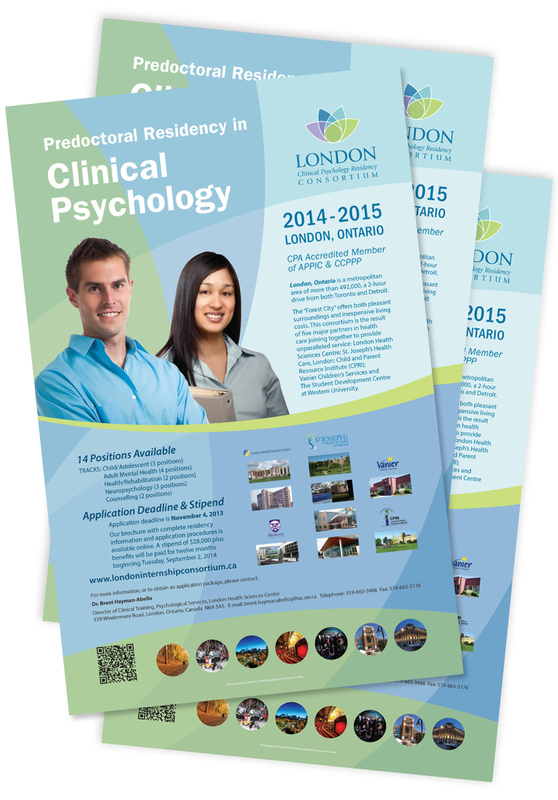 Design of the guidebook and poster for predoctoral training in clinical psychology LHSC residency programs. 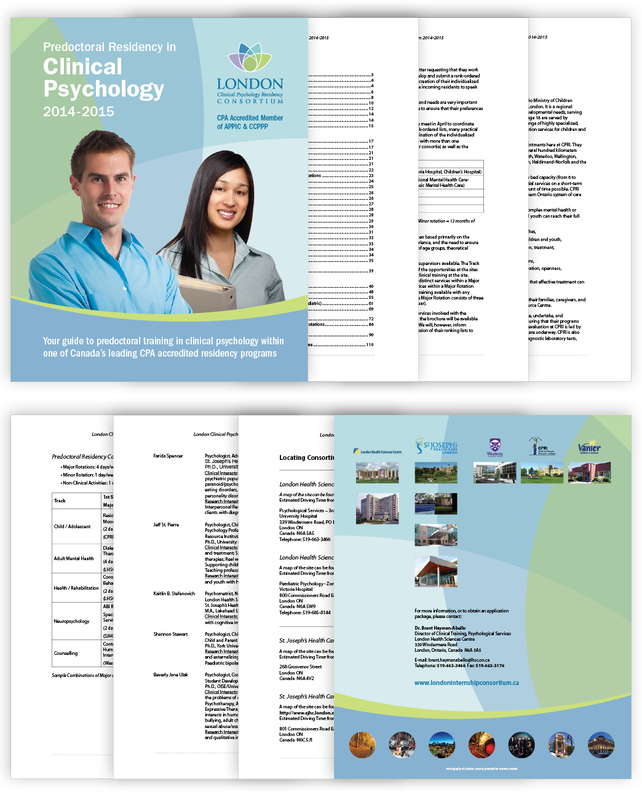 The project involved the design of the front and back cover and matching poster, plus setting up the 110+ pages of information, charts, map and tabs., and the production of all. 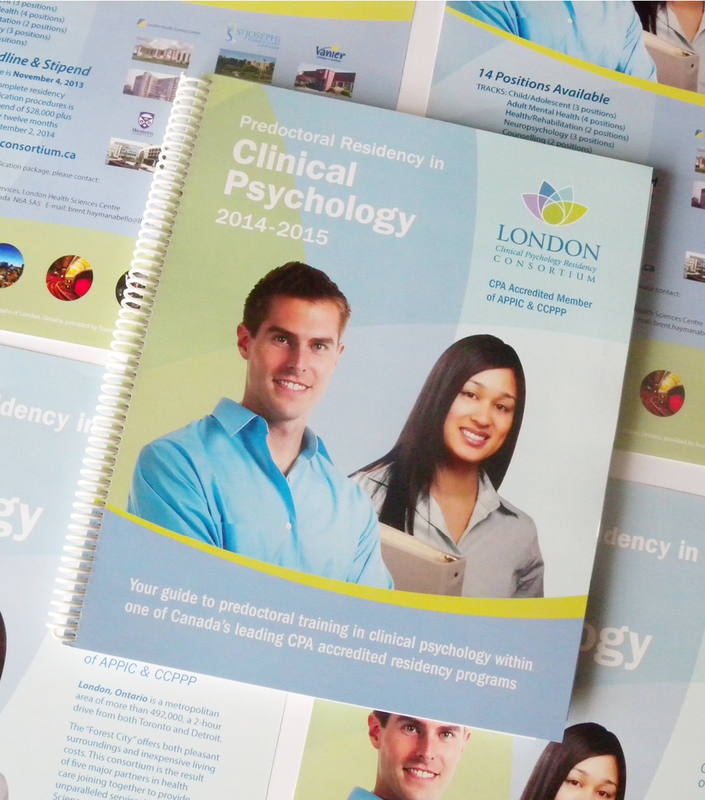 The final result was produced in print and a light PDF for online use.